A bobcat hunting for rodents. 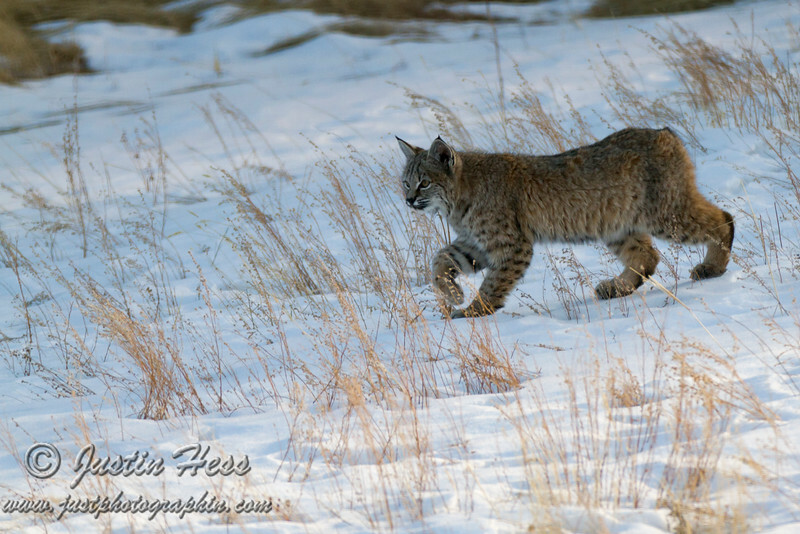 The Bobcat was hunting for rodents under the snow. It was neat to see how cautiously the bobcat moved, as to not give away its presence, when it suspected there was movement under the snow.